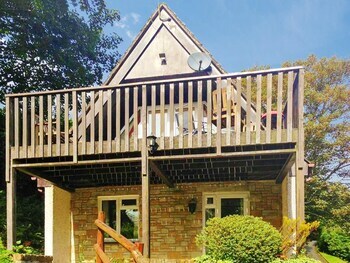 Located in Gunnislake, this lodge is minutes from Tamar Valley Donkey Park and close to Cotehele House and Gardens. Free self parking is available onsite. With a stay at The Crown Inn in Ripon, you'll be within a 10-minute drive of Blacksheep Brewery and Theakston Brewery. Free self parking is available onsite. With a stay at Adria House, you'll be centrally located in Edinburgh, within a 10-minute walk of Omni Centre Edinburgh and Edinburgh Playhouse Theatre. The front desk is staffed during limited hours. Located in Ballynahinch, Millbrook Lodge Hotel is within the region of Inch Abbey and Legamanny Dolmen. This hotel has 5 meeting rooms available for events. Free self parking is available onsite. When you stay at Abbeyfields Guest House in York, you'll be in the historical district, within a 15-minute walk of York Minster and York National Railway Museum. Free self parking is available onsite. With a stay at The Captain Cook Inn in Saltburn-by-the-Sea, you'll be within a 15-minute drive of Yorkshire Moors and Cleveland Ironstone Mining Museum. Free self parking is available onsite. With a stay at The Lodge Elgin in Elgin, you'll be within a 15-minute walk of Elgin Museum and Elgin Cathedral. The front desk is staffed during limited hours. Free self parking is available onsite. When you stay at The Lion Inn in Boreham, you'll be close to Bond Street. Self parking (subject to charges) is available onsite. Located in Melksham, Observers Rest is within a 15-minute drive of Corsham Court and Lacock Abbey. Free self parking is available onsite.